Is this an exciting time to be developing mobile apps? Short answer: Yes. With tons of tools already available — and more springing up all the time — there seems to be a solution for any mobile app developer out there (experienced and novices alike). In this article, we look at 10 solutions for building cross-platform mobile apps. They were chosen for their varied levels of complexity, price, features and documentation. I’ve tested each of them. 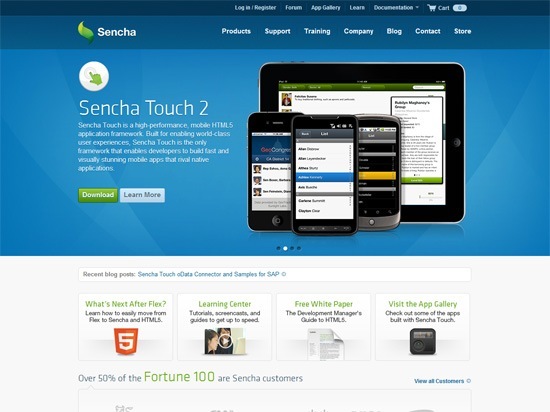 Sencha Touch 2 needs to be installed on your computer (it works on PC, Mac or Linux). You also need a web server running locally on your computer (here’s how to install XAMMP if you need help). Visit their Kitchen Sink app to see Sencha Touch 2 in action. 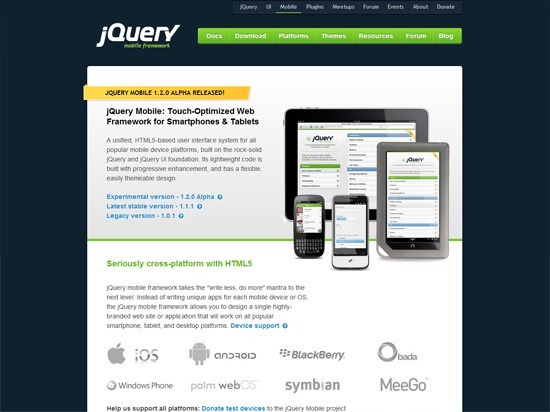 jQuery Mobile is an HTML5 user interface framework for touchscreen devices. The jQuery Mobile framework is straightforward and well documented. What’s great about jQuery Mobile is that it has an online tool called ThemeRoller to help make the creation of your user interfaces quicker. To do server-side stuff, you could use a mobile app development platform like PhoneGap (which we’ll discuss later); the official site has documentation on how to use PhoneGap with jQuery Mobile. 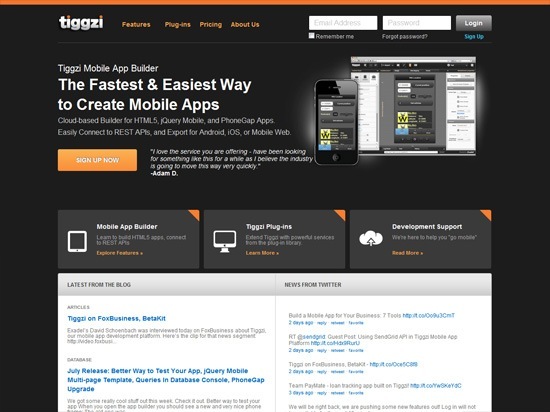 Using jQuery Mobile as its base, Tiggzi is a drag-and-drop tool for developing mobile apps. You can add standard buttons, menus, video, maps and other elements to your mobile app and then bind events and corresponding actions to them. 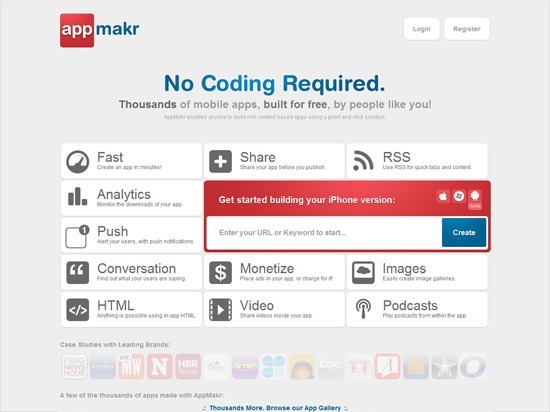 AppMakr is an online tool for creating content-centered mobile apps, as well as a service that can help you distribute your app in many app stores. You can import RSS feeds that AppMakr will package into a mobile-optimized app. There’s no programming required to create your app, though you can add custom HTML. 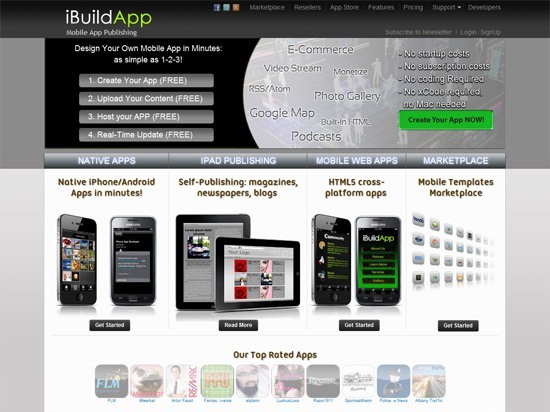 iBuildApp is a tool for creating mobile apps. They have a good selection of templates for many different types of apps, and you can have your app featured in the iBuildApp Gallery. iBuildApp provides many options you can add to your mobile apps, including e-commerce options and a way to embed web pages inside your app. iBuildApp also provides a SOAP web service that allows you to easily create, retrieve, update or delete content. Widgetbox offers an easy-to-use web tool for creating and hosting simple, content-based mobile apps. You can create pages for your app containing RSS feeds from blogs or social media sites. You can also add custom content using HTML and CSS. Check out the mobile app directory for a listing of apps created by Widgetbox. 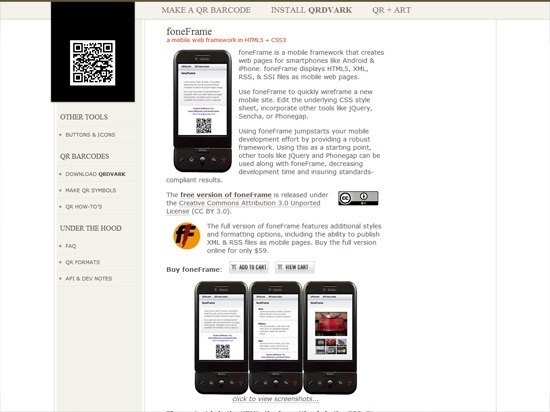 foneFrame is a mobile HTML5/CSS3 framework for creating mobile-optimized web pages. You can then use PhoneGap or appMobi XDK for the backend. foneFrame is also an excellent way to easily wireframe a mobile site. 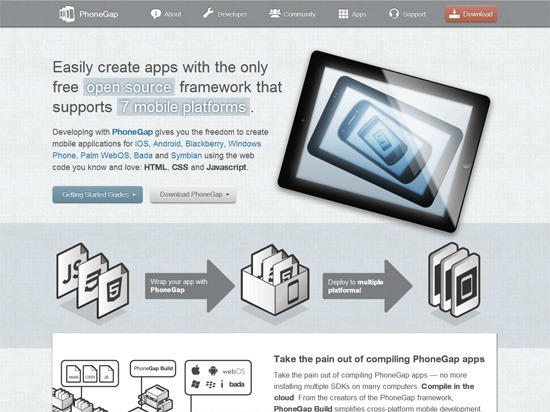 PhoneGap is a free, open source software that serves as a bridge between individual mobile OS SDKs, which have their own programming languages and standard development practices. PhoneGap support includes iOS, Android, Blackberry, Windows, WebOS and Symbian. 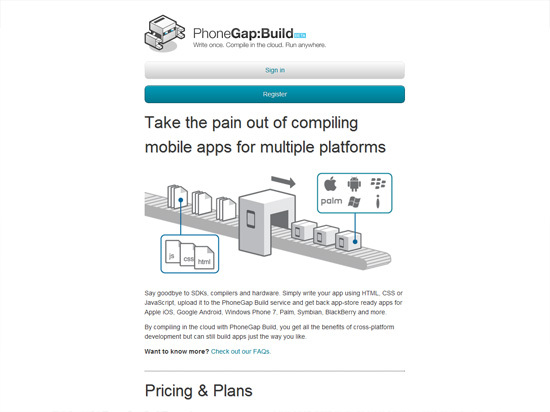 The folks at PhoneGap have gone one step further in creating a web-based platform that creates your “builds” for you. It’s called PhoneGap Build. This service presently supports iOS, Android, Blackberry, WebOS and Symbian. 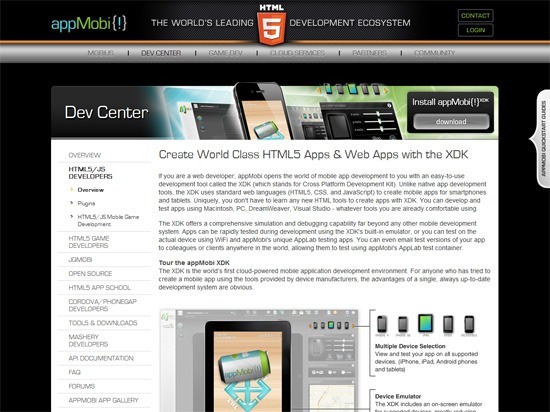 appMobi XDK is cloud-based mobile app development environment that’s available as a Google Chrome plugin. The appMobi service will also host your mobile app for you, as well as provide you with the ability to deploy it in popular app stores. Though the service and hosting are free, they have add-on services like push notifications and e-commerce solutions you can use to enhance your mobile app.